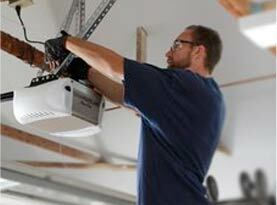 United Garage Door Service of Henderson realizes your garage door is probably the most used door in your home. Your garage doors appearance and quality shows that you care for the people who live in your residence as well as how it looks to others in your neighborhood. Its design elements highlight your Las Vegas Valley home’s architecture while providing both curb appeal and home security. That’s why United Garage Door Service of Henderson wants your garage door to operate safely and optimally and are available 24/7 to ensure just that! Lic. #81532. United Garage Door Service of Henderson has been serving the Las Vegas Valley since 2004, giving us the expertise and experience to “do garage doors right!” We serve customers from all over the Las Vegas Valley including Summerlin, North Las Vegas and Henderson. We can handle all your home garage door needs, whether it is installation, repair or maintenance of a residential garage door or opener. Not only do we sell high quality new garage doors, we can troubleshoot, diagnose, fix and repair any garage door issue you might face. Our years of experience as the Las Vegas garage door experts has led us to encounter many different issues in the last decade. Garage door isn’t opening or closing? We can fix it. Give us a call and we’ll take care of all your residential garage door issues. The garage door industry has changed considerably over the last few years. There are many new styles, textures and colors that just weren’t available even three years ago. The garage door is the new focus for many homeowners who are interested in modernizing the looks of their home and giving it the best look available. 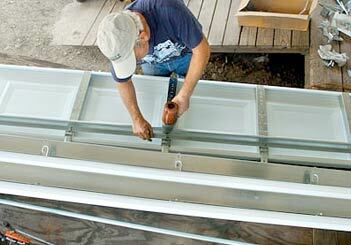 United Garage Door Service of Henderson can install or replace any garage door you choose! 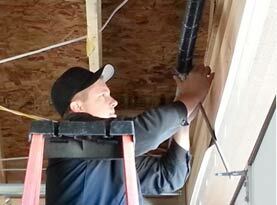 Know that when working on a garage door, safety always comes first! If you have no qualification on garage doors, it is a much better idea for you to call a professional company like United Garage Door Service of Henderson to handle it. Garage doors are extremely heavy and may cause serious injures and even death. We often receive calls from customers after they have tried to repair a simple issue with their garage door opener, but because of not knowing what they were doing; they have caused a much more severe and costly damage on their garage door. United Garage Door Service of Hendersonn understands that when you have a problem with your garage door, you need fast, convenient service that you can rely on. We are conveniently there when you need us, 24/7. When you need spring repair, know that we carry nearly all spring sizes on our well stocked trucks, so 99% of the time your door will be fixed on the first visit. 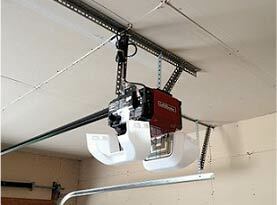 When we leave your premises, we demonstrate your garage door was fixed right by conducting a balance test. When you call United Garage Door Service of Henderson for an inspection we begin with a visual inspection of all components including garage door springs, cables, rollers, pulleys, and other door hardware for signs of wear. 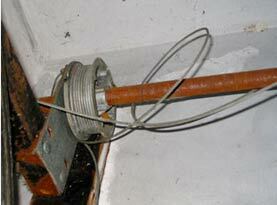 We also conduct door balance, reversal and force setting tests. If additional safety devices have been installed on older garage doors, such as photo eyes or edge sensors, we ensure they were properly installed and adjusted. Never attempt to adjust springs, cables, brackets and other hardware. This is extremely dangerous as they are under very high pressure and if handled improperly can cause serious injury. Finally, we lubricate all moving parts of the door.